Medical systems have historically devalued women’s experience with illness, often resulting in diagnoses and treatments that are not appropriate or relevant for women’s lives. Postpartum depression is no exception. One way to design more responsive health services is to thoughtfully listen to the experiences of women who are in a position to offer deep information about their disorder. In Mexico, neither detection of postpartum depression nor care for women experiencing it are routinely provided in the majority of obstetric units in public-sector health facilities. At the same time, providers are aware of the burden of poor maternal mental health and want to do something about it. We know that nationwide, just under 20% of women experience depressive symptoms within the first five years of giving birth. Low levels of social support, histories of depression, unplanned pregnancies and intimate partner violence are associated with postpartum depressive symptoms among Mexican women. What do the women themselves have to say about their experience of postpartum depression? What words do they use to talk about it? What are the problems it causes for them and what are their strategies for recovery? This is what we wanted to know and so we set out to listen to women. We surveyed 22 postpartum women from the waiting rooms of a public-sector hospital in Morelos, Mexico for clinically-significant depressive symptoms using the Edinburgh Postnatal Depression Scale (EPDS), validated for use in Mexico. Of those women, five scored 12 or above, an indication of depression, and were interviewed to help us understand what postpartum depression feels like for them. A trained psychologist was present during the interview and was available if women had an emotional reaction. One additional woman was found through a local contact in Mexico City and was interviewed retrospectively by a social worker about her experience. 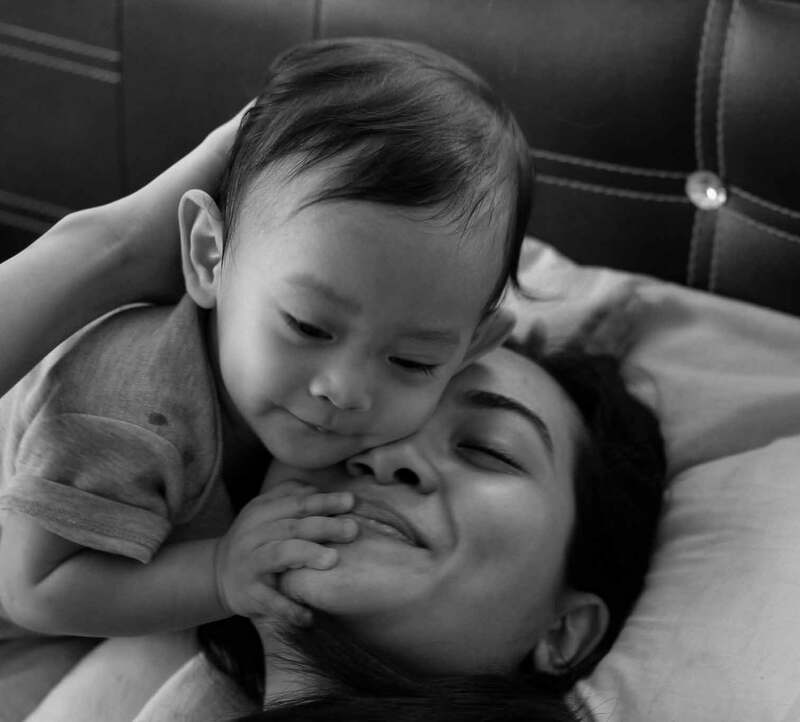 How do women describe what postpartum depression feels like? More than just feeling sad, the women expressed feeling angry, scared, stressed, embarrassed and intensely worried about their child and the adequacy of their mothering. One woman said, “When [the baby] was still inside me, I had talked to and played with her … but now, having her here, I didn’t know how to play or how to talk, I didn’t know what to do with her.” The women were confused why they were feeling this way. They felt pressure to ignore the feelings altogether and to keep “the baby, the housework, the cooking, and everything” under control. What problems does postpartum depression cause? He would say to me, “You don’t take care of your appearance anymore, you look like a slob, you don’t get made up or do your hair, you don’t change your clothes. I get home and find my wife like I left her in the morning.” … I felt really bad, because I wasn’t used to being with my daughter, and I had to find time to get made up too. And his family had the attitude that the woman who does not get made up and doesn’t know how to do housework isn’t a woman. Rather than seeking medical or mental health services, to manage their depression the women sought advice, mainly from other women in their lives. One woman reflected on counsel received from her mother-in-law: “She says, ‘It’s better to think of [your children]. Don’t think about yourself, think about them.’” Another woman said, “[My sisters] tell me I have to make an effort for my little girl.” Unfortunately, women generally did not think doctors or other health personnel were helpful. “We’re like numbers to them, no?” said one woman. The message these women received from their sisters, mothers, and mothers-in-law (and occasionally partners) was to pull yourself up, be on your toes, and to do your best to take care of yourself so you can take care of the child. Through these interviews, we are offered a precious, although small, window into women’s experiences with postpartum depression. Additional research provides a more extensive background, including Mexican women’s familiarity with the term perinatal depression and their perception of what may be causing it. Women’s experiences, captured through their stories, are important to designing health services that are responsive to their needs and realistic in their life contexts. Enjoyed this post about maternal mental health? Read more posts in the Mental Health: The Missing Piece in Maternal Health blog series. Jean Marie S. Place, PhD is assistant professor in the Department of Health Science and is a Women’s and Gender Studies Affiliate at Ball State University in Muncie, Indiana, USA. Deborah L. Billings, PhD is an adjunct faculty member in the Department of Health Promotion, Education and Behavior at the University of South Carolina in Columbia, South Carolina, and the Gillings School of Global Public Health at the University of North Carolina in Chapel Hill, North Carolina, USA. She serves as the Director for the Choose Well Initiative (www.choosewellsc.org) in South Carolina, USA. Filipa deCastro, PhD is a professor and researcher at the Reproductive Health Unit at the Center for Population Health Research of the National Institute of Public Health in Mexico City, Mexico. deCastro, F., Place, J.M., Allen, B., Rivera, L., and Billings, D. (2014). Detection of and care for perinatal depression in Mexico: Qualitative and quantitative evidence from public obstetric units. Working paper.